T-Mobile customers get thanked by the carrier every Tuesday with a number of freebies. These aren't expensive giveaways, but they are useful and T-Mobile customers no doubt appreciate them. In addition, from time to time the carrier offers a sweepstakes with a valuable grand prize. Sometimes it's a phone, other times it is a trip to an event; and even non-T-Mobile subscribers are allowed to enter. The latest sweepstakes starts this coming Tuesday, and T-Mobile subscribers can enter through the T-Mobile Tuesdays app. Non-subscribers can submit an entry from this web page. One grand prize winner will receive a three-day, two-night trip to Los Angeles. The winner and a guest will fly coach class round trip. The prize includes one double occupancy room for two nights in a hotel in Hollywood, California. The winner and guest will get to take a backstage tour of the 20th Century Fox movie studio, and chow down on a two-course lunch with a soft drink (up to $35 per person). The highlight of the trip will be the VIP screening of the upcoming release Alita: Battle Angel. The winner will also receive a 20th Century Fox goody bag and a check for $2,122. The check can be used to cover the taxes on the prize, or be spent at the winner's discretion. The total retail value of the prize is $7,072. The trip must be taken by February 15th. $10 off tickets to see Cher, Sara Brightman or more from Live Nation. 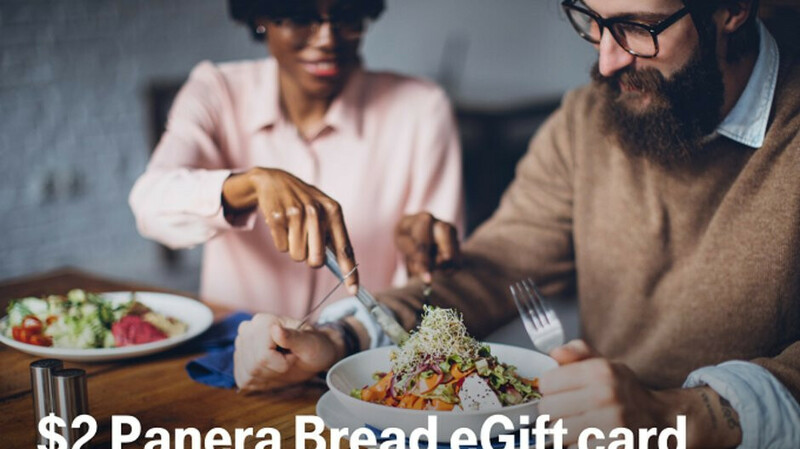 $2 eGift card for Panera Bread. 20 ounce smoothie for $2 from Smoothie King. $10 off a purchase of $20 and more from American Eagle.